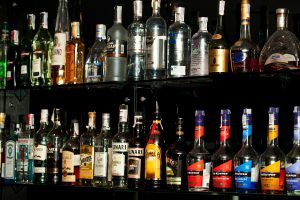 Distilled spirits dollar sales were up 2.8 percent in the month of April, which was slightly below the strong 3 percent growth seen over the last 3 months. Across brown spirits, bourbon and Irish whiskey gained dollar share, while tequila was the only white spirit that outperformed the total category. Total distilled spirits dollar sales also grew by 2.8 percent in the month of April, just slightly below the 3 percent growth seen over the last 3 months. Volume grew by 1.5 percent as price/mix contributed 1.3 points to overall performance. Brown spirits remained strong, with bourbon and Irish whiskey posting numbers ahead of category growth at 6.2 percent and 16.8 percent respectively. Across white spirits, tequila posted sales growth of 7.1 percent and vodka was up 1.4 percent.